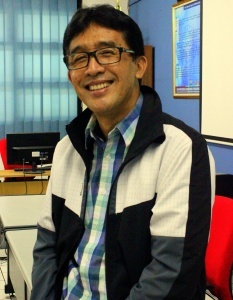 Dr. Dedi Jusadi is associate professor in the Department of Aquaculture, Faculty of Fisheries and Marine Science, Bogor Agricultural University (BDP-FPIK-IPB) since 1988. He graduated his Fisheries Bachelor's majoring in Aquaculture in 1987. In 1994 he completed his master study in Fish Nutrition, from Tokyo University of Fisheries (recently Tokyo University of Marine Science and Technology), Japan and completed his PhD study in the same university at 1997.He has been studying and performing research in fish nutrition since 1992, during which he has published some scientific papers in reputable national and international journals. Robin, Eddy Supriyono, Kukuh Nirmala, Enang Harris, Ridwan Affandi, Dedi Jusadi. 2017. Bio-elimination of lead (Pb) from the organs of red tilapia (Oreochromis sp.) using Gliricidia sepium compost as a feed additive. AACL Bioflux, 10: 38-47. Suryaningrum L.H, Dedi J, Setiawati M, Sunarno M.T.Dj. 2017. Nutrient composition and apparent digestibility coefficient of Ulva lactuca meal in the Nile tilapia (Oreochromis niloticus). AACL Bioflux, 10:77-86. Jusadi Dedi, Arief A. Hutama, Tati Nurhayati, Wasjan, Apriana Vinasyiam. 2016. Growth performance and flesh quality of common carp, Cyprinus carpio feeding on the diet supplemented with cinnamon (Cinnamomum burmannii) leaf. AACL Bioflux, 9: 937-943. Amin M, Jusadi D, Sukenda, Harris E. 2015. Growth performance, non-specific immun and antioxidant response of juvenile tilapia Oreocromis sp. feeding on brewer’s yeast Saccharomyces cerevisiae supplemented diet. Pakistan Journal of Biotechnol. 12 (2): 139 – 148. Suprayudi MA, R Ramadhan, D Jusadi. 2013. Artificial feed for larvae of catfish Pangasionodon sp. in different age. 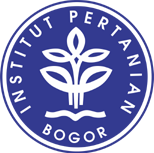 Jurnal Akuakultur Indonesia,12: 193-200. The application of feed additives in the diet to produce heavy metals free fish from aquaculture industry.